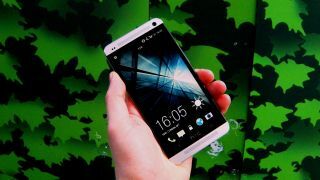 The HTC One might be our favourite mobile phone in the world right now, but it hasn't been so good for its manufacturer. Thanks to delays in production of the handset, HTC's financial results for Q1 2013 are its lowest of all time. The One was supposed to be available in 80 countries before the end of March, which would have put it ahead of Samsung's looming Galaxy S4. Instead, it was available in just three, and now - despite HTC just unravelling its Facebook phone, the HTC First - the company is feeling the burn. The company brought in a first quarter net income of 85m Taiwanese dollars (US$2.85m, £1.85m, AUS$2.72m) - a 98 per cent plummet and the lowest on record since HTC started reporting its quarterly profits in 2004. Yowza. But this comes after months of bad news for HTC, which has been in a period of market share decline. All hope was pinned on the One to drag the company back to more positive realms. The reason for HTC's less-than-speedy delivery of its phone is said to be a shortage of camera components. Let's hope that with the One and the First both on their way, HTC can see a reversal of fortunes.